Richard Hammond is one of our most in-demand and best-loved television presenters. On September 20, 2006, he suffered a serious brain injury following a high-speed car crash, and the nation held its breath. On the Edge is his compelling account of life before and after the accident and an honest description of his year of recovery, full of drama and incident. It is also, perhaps, his explanation of why, as a married man and father of two young daughters, he was prepared to risk all by strapping himself to the front of a jet engine with the power of eleven Formula One cars. 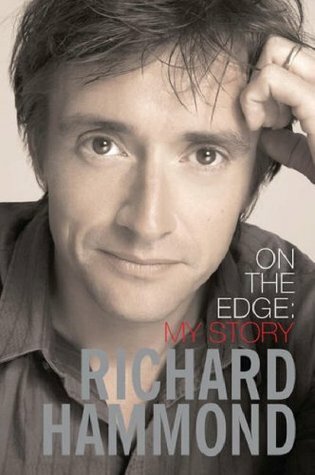 A daredevil and a petrolhead long before his association with Top Gear, Richard tells the story of his life as an adrenalin junkie, from the small boy showing off with ridiculous stunts on his bicycle to the adolescent with a near-obsessive attraction to speed and the smell of petrol. After a series of jobs in local radio, he graduated to television and eventually to Top Gear, one of the world’s most popular shows, upgrading his car with each step up the ladder. His insights into the personalities, the camaraderie and, of course, the stunts for which Top Gear has become famous make compulsive reading. It was whilst filming for Top Gear, driving a jet-powered dragster at speeds over 300mph, that a tyre burst and the car left the track and rolled over, burying him in the earth. He was airlifted to hospital and hovered near death for several days. His wife Mindy tells the story of the anxious hours and days of watching and waiting until he finally emerged from his coma. In an extraordinarily powerful piece of writing, she and Richard then piece together the stages of his recovery as his shattered mind slowly reformed, leaving him sometimes lucid and plausible, sometimes confused and angry, and often exhausted. The final chapter recounts his return home and his triumphant reappearance in front of the cameras. If you, or anyone in your life is suffering from the effects of a traumatic brain injury (TBI), this autobiography written by one of the UK’s most loved auto show presenters is a must read for you. Hammond is one of the trio that presents the UK version of Top Gear, and for those who have seen the show they will automatically know to what incident in his life this book centres on. For those who haven’t, but are still looking for an informative and moving read, this maybe the book you are looking for. This book is so much more than a narrative of what life is like as a TBI sufferer and, as can be read through the words of the Author’s Wife, living with someone affected; this book takes the reader right back to the very beginning and lays the groundwork for what is to come later in life. It is written with a sense of humour only to be expected from the ‘Hamster’, whilst at the same time being very frank and honest as to how life radically changed for him and his family. At times, as he describes his recovery, the words become almost heart wrenching as he tries to come to terms with life as it is now. Those who read this and understand how hard living with TBI can be, will thoroughly agree with the Author as he writes about his frustrations at having to relearn his life, and also be there with his Wife as she goes through the waiting phase after the injury. I am being very vague here with regard to the incident that resulted in TBI, as I don’t want to take the impact of that section of the book away from anyone who might pick this up and read it. It is a very easy read, and felt at times as if I were sat with the Author talking about this over a cup of something hot. 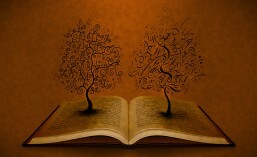 There are moments in the book where it feels as if the Author were in two minds as to whether he was going to share a particular item with the reader as it was too painful to relive, but share he does so as to make anyone, and their Families, feel like they are not alone whilst going through this kind of thing. This is a very important book in the world of TBI; it gives hope and encouragement to all parties involved when none may have been promised by medical staff. I would highly recommend this book to anyone going through this, and those who want to know more.